Hi 🙂 It’s been a while. I hope you had a nice summer. Lately I’m trying to eat healthier. 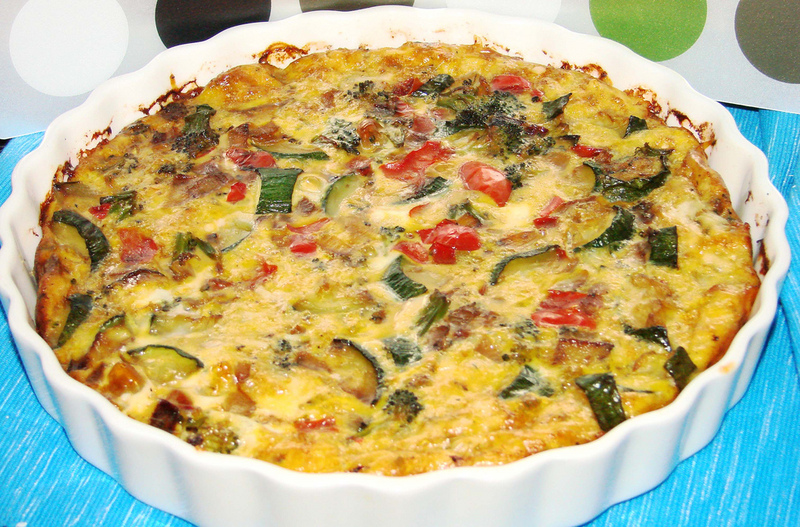 I made this crustless quiche that was so yummy. It’s so easy to do and taste great. You can use a tasty cheese. Sautee veggies in oil until tender. Remove veggies and allow to cool. Beat eggs in bowl, add salt and pepper add cool veggies to eggs and mix well. Spray glass pie plate with cooking spray. Pour half of the egg mixture in pie plate. Top with remaining egg mixture.